Looking for something sweet and delicious and FREE? well LLHP has you covered. 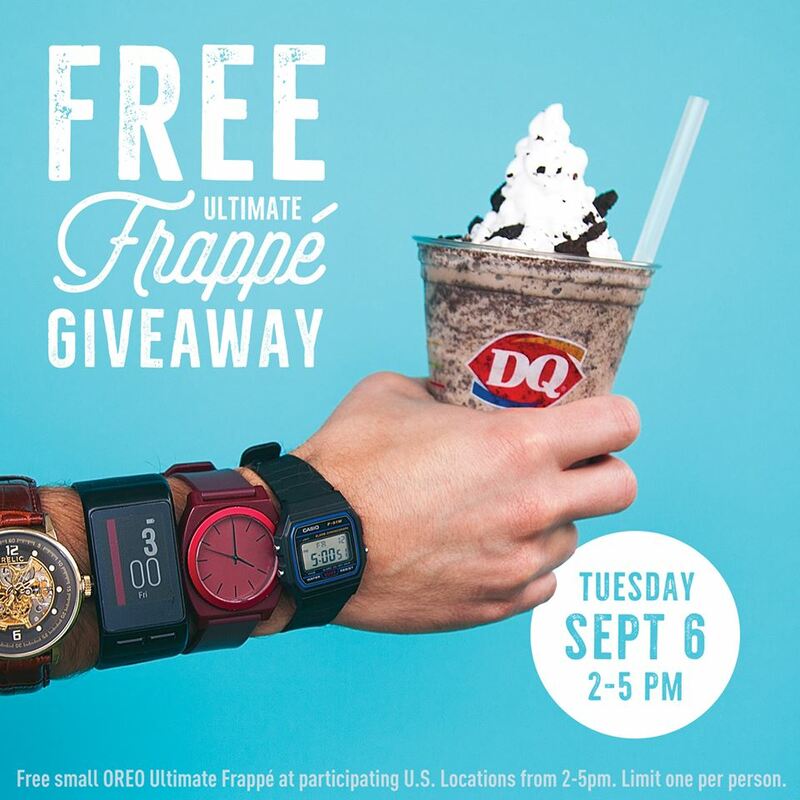 Head to Dairy Queen for the #DQFreeFrappé Giveaway is this Tuesday, September 6th from 2-5pm. Extend your Labor Day a few extra hours with one free small Oreo Ultimate Frappé. No purchase necessary and limited one per person.